HumHub is a free social network software and framework built to give you the tools to make teamwork easy and successful. It’s lightweight, powerful and comes with an user-friendly interface. With HumHub you can create your own customized social network, social intranet or huge social enterprise application that really fits your needs. HumHub is completely open- source. With a powerful module system you can extend HumHub by using third party tools, writing your own or connect existing software. Your server, your data, your rules. HumHub is a self- hosted solution and runs on almost every server. You are in the full control of your data. I’m in here, and realized throughout the reading that has so much knowledge on the subject. Just won a born reader of your articles. 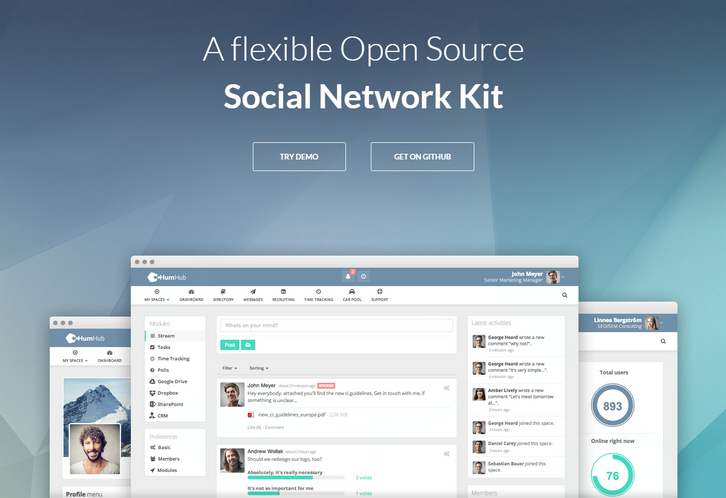 This looks like it could be a great intranet platform.